Dodd-Frank rewards are available to anonymous SEC whistleblowers. Under the Dodd-Frank reward program, international bribery and FCPA whistleblowers can submit their cases anonymously, via counsel, to the United States Securities and Exchange Commission. FCPA whistleblowers are eligible for large rewards for reporting corporate bribery under the Dodd-Frank reward program. An anonymous submission provides the ultimate confidentiality because the SEC does not even know the identity of the whistleblower. A whistleblower is not required to disclose his or her identity or submit a reward claim if he or she does not want to do so. 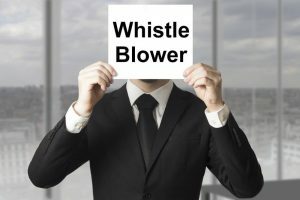 Sometimes whistleblowers will want anonymity for their initial submissions but decide later to reveal their identities to the SEC in cases where they want to provide further assistance to the investigation or be interviewed by SEC regulators. In order for a whistleblower to provide an anonymous tip under the Dodd-Frank reward program, Section 922 of the Dodd-Frank Wall Street Reform and Consumer Protection Act — (21F. (d)(2)(A) “Required Representation”) — and SEC regulation 21F-9(c) provide that the whistleblower must provide his or her information through an attorney. Even though the SEC has strict protocols in place in order to keep whistleblowers’ information confidential, some clients feel more comfortable providing their information to the SEC without disclosing their names. If anyone has information about an SEC-regulated company (or one of its local affiliates, subsidiaries, or agents) bribing government officials and would like to discuss making a confidential or anonymous submission under the Dodd-Frank reward program, please feel free to contact me at arickman@rickmanlegal.com for a free consultation. For more information about the Dodd-Frank reward program, please click here. And for more details about how the reward program applies to FCPA whistleblowers, please click here.